A few weeks ago, I had a revelation. Assisting with an advertising campaign for Hitchin British Schools (where I played the role of wife and mother very effectively), I stumbled upon the fabulous Eric T. Moore Books – a seller of secondhand, out-of-print, and antiquarian books. It is an absolute treasure trove. If I hadn’t needed to return to my duties, I would quite happily have spent the day exploring the shop. Fortunately, I did grab the chance to pick up a couple of new novels. Unexpectedly, given that it was not on my interest list, I ended up purchasing a copy of Bram Stoker’s celebrated classic, Dracula. The epitome of gothicism, and a terrifying read if ever there was one. The narrative of Dracula consists of diaries and letters, composed by the novel’s various involved parties. It begins with the diary of Jonathan Harker, a solicitor sent to Transylvania to consult with the mysterious Count Dracula regarding some property acquisitions in London. After his arrival, however, Harker becomes a virtual prisoner in the Count’s castle. He escapes, but is left with a brain fever that draws his new wife and old friends to the details of his experience. Alongside the infamous Doctor Van Helsing, the group set out to destroy the Count, whose apparent arrival in England has led to a number of monstrous events. As Dr. Van Helsing and his companions work to eradicate the threat posed by Count Dracula, it becomes clear that they will not succeed without substantial sacrifice. Dracula is one classic I had not ever intended to read. With a general dislike of all things vampiric, due almost entirely to an ill-fated run-in with the Twilight series, I had assumed that Dracula was probably not a novel for me. That said, I did have reasons to suspect that I might get along with Bram Stoker’s masterpiece. Firstly, a month-long stay in Romania afforded me the opportunity to visit Brasov, and view the castle that provided inspiration for Dracula’s abode. It was as creepy as one would expect. Secondly, working in the gothic fantasy that is Knebworth House, I have a good amount of personal interest in gothic literature. Given these two facts, my long avoidance of Dracula should be some indication of how much I dislike anything relating to Stephanie Meyer’s anti-feminist and unbelievably trite creations. The novel is particularly powerful in its juxtaposition of narratives. Stoker manipulates a broad array of character voices with true efficacy, offering a variety of first-person perspectives that build the complexity and realism of this fantastical tale. The mark of a truly great gothic novelist is undoubtedly the ability to paint unreality in the most realistic way. If the narrative is permitted to slip into cliche or flawed superficiality, it immediately loses its edge. The ability to convince is integral to any work of fiction, but it is a particularly difficult challenge to mount for authors ambitious enough to tread gothic ground. This is, however, a problem that impacts very little of the novel. Dracula is a gripping read from start to finish and represents gothic literature at its very best. If you are looking for a classic that will also leave you with a fear of pale strangers, this is the novel for you. 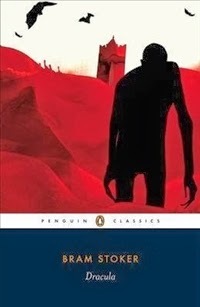 And if you want vampires, Bram Stoker’s terrifying tale provides a far better option than any work that has inspired celebration of a sparkly Robert Pattinson.